David J. Efron is co-head of the Investment Management Group and a member of the firm’s Executive Committee. With more than 25 years of experience, David has a broad practice advising private fund managers that employ a wide range of investment strategies. He represents many of the world’s largest private fund managers on formation, structuring, organization, compensation, operations, seed capital and joint venture arrangements and restructurings, among other types of matters related to their funds and management companies. Notably, David has advised on many of the largest start-up hedge fund launches in the industry over the past few years. Additionally, David also represents private fund managers in connection with SEC regulatory issues and compliance-related matters. Schulte’s Investment Management Group, which David co-heads, has been described as the “preeminent name in this area” and at “the forefront of this industry” by Chambers, a prominent industry publication that ranks firms and lawyers. 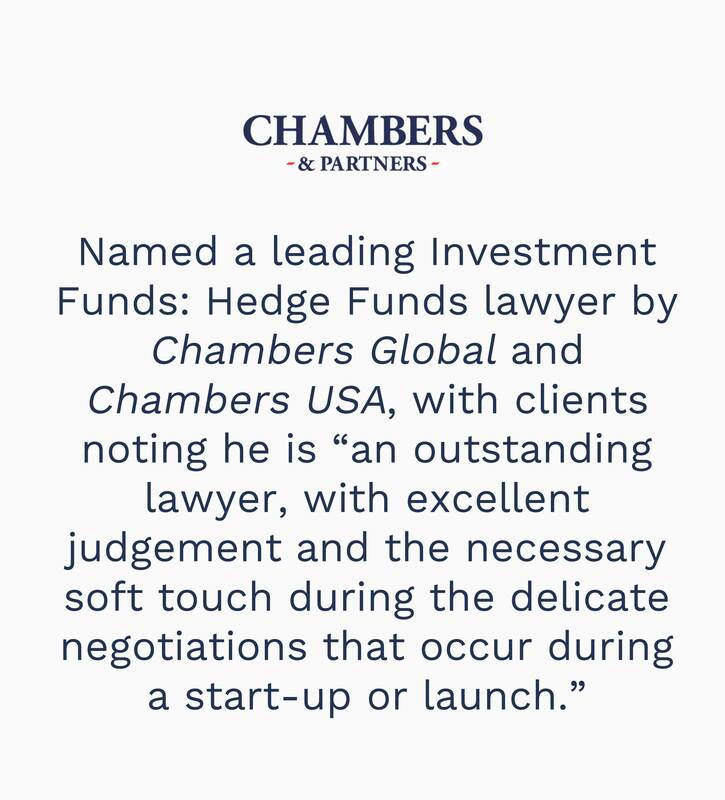 David is listed in Chambers Global, Chambers USA, Expert Guide to the World’s Leading Banking, Finance and Transactional Law Lawyers, The Legal 500 US and Who’s Who Legal: The International Who’s Who of Private Funds Lawyers. 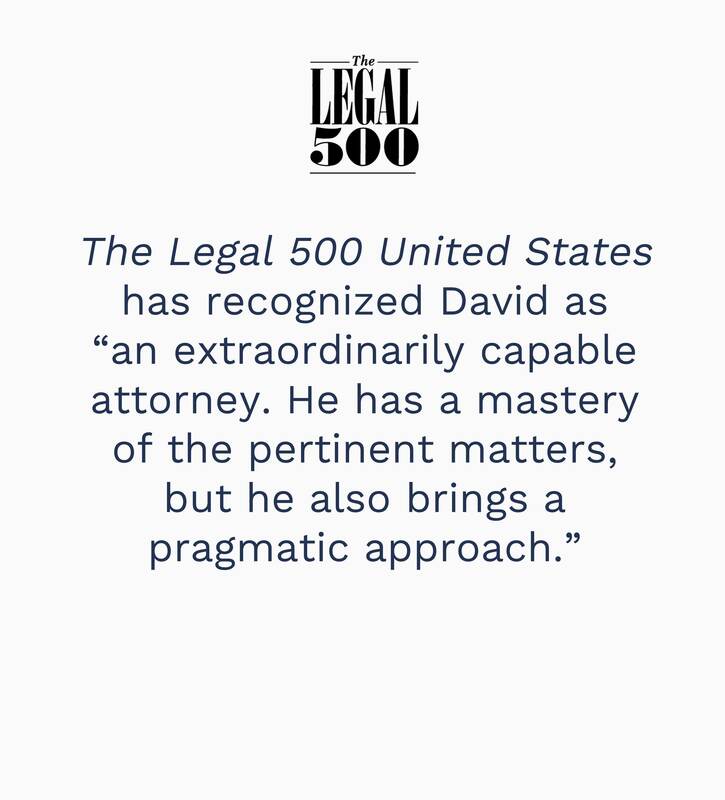 In particular, The Legal 500 US has praised his “superb judgment and deep expertise” and recognized him as “an extraordinarily capable attorney. He has a mastery of the pertinent matters, but he also brings a pragmatic approach.” Chambers Global and Chambers USA noted that David is “an outstanding lawyer, with excellent judgment and the necessary soft touch during the delicate negotiations that occur during a start-up/launch” and that “he is attuned to the business considerations and provides measured, reasoned advice that reflects his deep experience and industry knowledge.” A published author on subjects relating to investment management, he is a sought-after speaker for hedge fund industry conferences and seminars and a frequent guest lecturer at New York-area law schools and business schools. David received his B.A. from Vassar College, his J.D. from Syracuse University College of Law and an LL.M. degree in securities regulation, with distinction, from Georgetown University Law Center. SRZ Insights: Can I Advertise My Latest Winning Trade?